David Gilmour is regarded as one of the best guitarists on the planet, and has cemented himself in the halls of the greats with his sublime tone, feel, phrasing and chord choice. It's difficult to argue that much of his incredible tone comes from the fingers, however, he certainly uses some effects to great, *ahem* effect and these have defined his sound as a guitar player. Pink Floyd is arguably one of the most experimental bands around, and have constantly pushed the sonic boundaries. Much of this is thanks to Gilmour’s genius as a guitar player and songwriter, and his choice of gear and sounds has allowed the band to create epic, ambient soundscapes. It would be difficult to choose the best Pink Floyd or even David Gilmour songs, as their back catalogue is so vast and diverse, however, he is renowned for the solos performed on tracks such as “Comfortably Numb”, “Shine On You Crazy Diamond” and “Another Brick In The Wall (Part 2)”. The tone that Gilmour achieves can be quite easily described, but not so easily replicated. He uses fuzz rather than distortion, for the extended sustain offered by the fuzz pedals. He also uses delay, modulation and reverb in spades, and the compression that he uses gives him his even, spanky attack. Gilmour stuns audiences with his precise note choice and clinical execution of these solos, but is also applauded for his modulated rhythms and other tonal textures. Ultimately, he’s the guitarist we’d all love to be and certainly something to aspire to. Without further ado, let’s listen to some of his best tunes before we take a look at how he achieves his tones and why he chooses the gear that he does. The David Gilmour sound is distinctly driven by Fender guitars. He has a signature black Strat, with a black pickguard and Maple neck that’s been on stage with him for years. He’s also partial to a Fender Telecaster or Fender Esquire (which is essentially a Fender Tele with a single bridge pickup). The reason why he chooses these guitars is probably due to where they tend to sit in the mix. These guitars can cut straight through when necessary (for those epic guitar solos) but can also provide a jangly, crunchy rhythm tone. The single-coil pickups also work beautifully with a long effects chain. 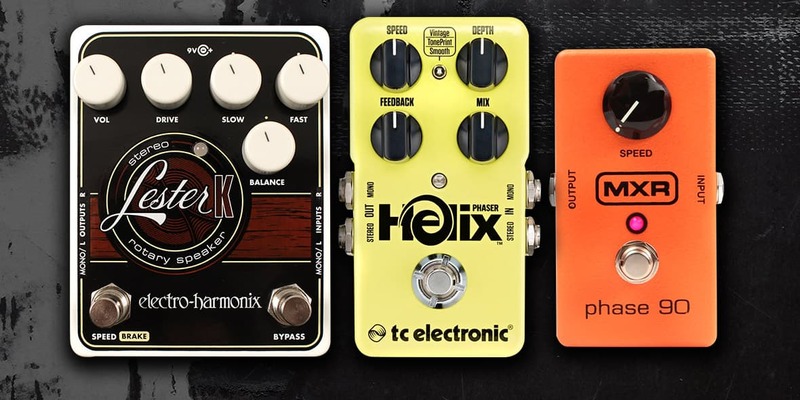 The fact that they have slightly more treble and upper mid response allows them to cut through any ‘mud’ that the modulation and fuzz pedals may create. There’s no denying that Gilmour used loads of different amps in the studio to create his massive guitar sounds. Often, he’d combine amps to get an even wider sound, however, he is famous for using Hiwatt Class A amps live and this means that we can use similar amps to achieve that tone. 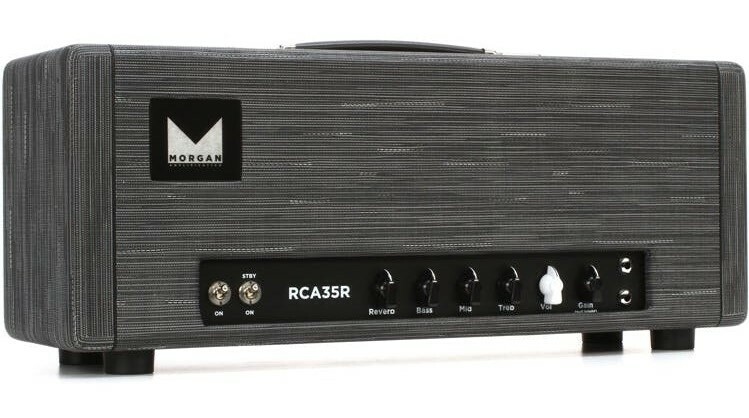 Morgan make some stunning Class A amps, and their RCA35R will give you a beautiful clean platform to work from. This is important, because you want an amp that can take pedals well considering the number of effects you’ll be running through your guitar signal. Higher headroom is also preferable so that the amp stays clean when turned up to higher volumes. You also don’t want the amp to compress too early (which will happen with lower wattage amps). This compression will probably compete with any compression pedal that you use, and you’ll end up with a muffled, woofy tone. What you really want is a good clean amp with high wattage, to provide you with the perfect platform to work from and not let the amp do much of the tonal work but rather, act as a blank canvas. Our very own Rabea Massaad recommends boosting the bass and mids on your amp, and ducking the treble to achieve that clean, Gilmour lead tone. To truly delve into David Gilmour’s sound, you’d need to do a lot of research and buy a lot of vintage gear. He notoriously used a Binson Echorec for his delays, and many other vintage pedals and studio outboard gear to achieve his tone. You could nail his famous sound with a handful of pedals, though, which makes it that much more achievable. You can go as simple or as fancy as you’d like to get ‘that’ Gilmour compression before your amp. The simple MXR Dyna Comp will do the trick. Anything that’ll allow you to squeeze a bit more sustain from every note. Set the attack and output quite high and you’ll be able to cut through the mix with your solos, and it’ll also help you tame any of those crazy fuzz tones. As for fuzz, you’ll be best off with something like an Electro Harmonix Big Muff. You shouldn’t worry too much about setting the fuzz output quite high, because he generally used it for single note solos and therefore, the increased harmonic response will cut through the mix. So, if it sounds like the fuzz is a bit out of hand, turn down the gain and get it to the point where it just sings. The original Big Muff will do the trick, but you can also go for something like the ProCo Rat which has plenty of top-end and will cut through the mix. Modulation forms a massive part of Gilmour’s guitar tone. 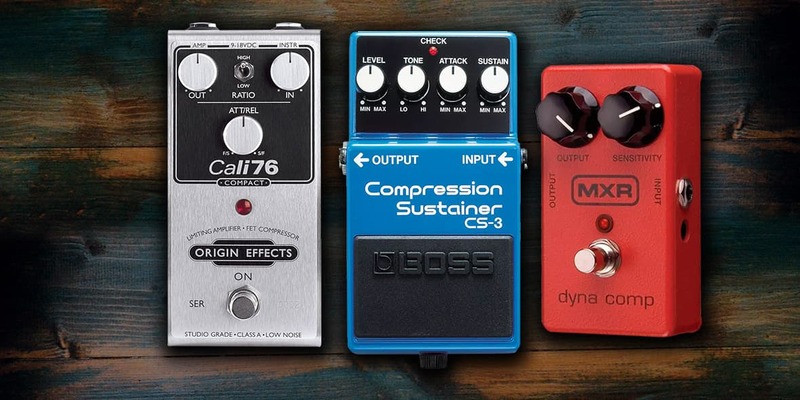 He often has a number of different modulation pedals running at the same time, but your essentials would include a Phaser for those “Shine On You Crazy Diamond” tones and a flanger for heavier modulation sounds. You’d also do well with a rotary cabinet simulator pedal of sorts for those massive stereo tones – think about the solo in “Time”. We could talk about modulation all day when talking about David Gilmour, but the minute you have a Phaser plugged in (like the MXR Phase 90 or the Fulltone Deja Vibe) and play those 4 notes from “Shine On”, you’ll know you’ve achieved the tone. A simple spring reverb will do the trick. We’ve chosen the Strymon Flint which has got a slightly darker sounding 70s setting. You can either use a digital pedal with a good spring reverb sound or get an amp with a lush real spring reverb built in. Either way, you’ll want the signal fairly wet, so make sure the ‘mix’ knob is dialled up. As for the delay, the options are vast. You should really try and get a tape delay or an analogue delay. Tape Delay would be the closest thing to what Gilmour would choose because it has the warble and decay that makes it perfect for ambient tones. This is because those ‘muddy’ repeats end up creating a bed for your guitar sound to sit on. Similar to using a synthesizer for a ‘pad’ sound. 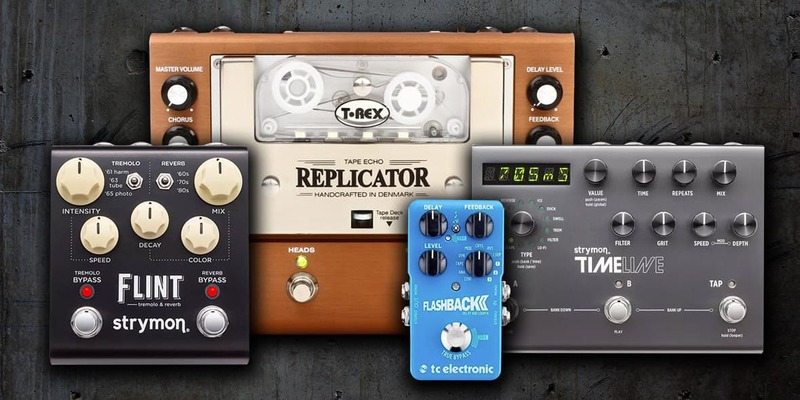 You’d never go wrong with a Strymon Timeline or an Eventide H9, but if you’re after something a bit more affordable then perhaps something like the TC Electronic Flashback or the T Rex Replicator. There’s no denying that a lot of David Gilmour’s tone comes from his fingers, but we can only try our best as mere mortals to get near his phenomenal tone. The trick is to allow your notes to breathe when playing them and allow the guitar, amp and pedals to really sing and sustain. Don’t try and choke the guitar in order to achieve his singing tone. Rabea: This is Sounds Like on Andertons TV. This is another great episode this week. Matt: This is the second special we've done. Today we're going to be trying to sound like David Gilmore again, but this time without a budget. The idea is that we have absolutely zero, not £1,500 not five grand, nothing, anything. We have no Budget. Rabea: Yes and I'm really, really excited about that because it was one of the first Sounds Like videos that we did, there were things that we rushed, things that we didn't consider and this time we get to do it properly but without a budget. Custom shop Strat, absolute boutique class A amplification, all the pedals we need. We're just going to have fun with this one. Matt: Let's have a go. In our first, it Sounds Like without busting the bank. What do we pick? Rabea: Well, we used a, I believe it was a plus top Mexican Strat. Rabea: Yes, it was a Phase 90. Matt: Adding the Tone City delay. Rabea: It was a tape machine. Rabea: With regards to reverb, we just used the built-in reverb I believe from the amplifier. The things that we would like to do differently this time, unfortunately, we can't get the high-watt amp that Dave Gilmore uses, but we can use class-A amplification and we can use custom shop guitars. Matt: In that theme, we are standing in front lots of amazing guitars. Rabea: We couldn't be in a more suitable room for both those things. This wall is custom shop Fenders, everything from reissues to the NOS stuff, to Inspire By models, signature models and obviously, we're going to chose one of these. Matt: Well yes, there's only really two we can go pick from. I'll grab one and you grab one. Off you go. Rabea: I'm actually holding the David Gilmour signature Strap. It's 3,000 pounds it's got a couple of cool features. Well, it's a David Gilmour signature Strat. However what you're holding. Matt: Well the new, old stock as well is that they try and use components kind of really, really reminiscent from the original stuff. Obviously, it's a new guitar. I, however, am holding the artist inspired version, this isn't a signature guitar. This is Andertons reviews fender's custom shop program to design kind of something reminiscent to maybe what David Gilmore would have played back in the day. Rabea: Basically, that is inspired by this. Matt: That's right and this is a bit more worn, it's got all the kind of-- it's been reliced and aged. Matt: To make it a little bit more legit. Rabea: You see now, everyone's going to go, well why don't you use that, I really want to use that because it looks awesome and it looks like it's got vibe in it. Matt: Well, I don't see why we can't. Rabea: Well, there is no reason why we can't except for the fact that I'm holding the signature Strat, so if you want to sound like David Gilmour logic would permit you use the signature guitar. Matt: Normally, we'd go, let's pick the cheapest one because that's how we work. We could, in this case, pick the most expensive. Rabea: We could pick the most expensive. Matt: Or we could just pick the one we like the most. Rabea: I like that one more than this one. Matt: I know and I'm going to agree with you. Matt: The yellowing of the lacquer. Rabea: You know what, let's go against the grain, you get this one. Amplification. We're in the room of amps. I'm stood around and I can see there are Tone King amps, Morgans, Friedmans. Matt: I think you know, last time, with the Jimmy Page one we did use Friedmans, didn't we? Matt: Maybe it's our chance to try something new. Matt: Therefore, we look towards the Morgans. Rabea: I mean look at them. Rabea: Absolutely beautiful, so this one here that is actually turned on right now, is 35 watts I believe. You've got built-in reverb, three-band EQ volume and I believe that's gain, I don't think the Morgan amps are particularly high gain at all. I think what they provide is the truest clean tone you could ever want and maybe a little bit of bite with the high input and the low input. Matt: For a bit of grit. That might help. Rabea: Or a Pro Co RAT. Matt: Yes. This amp is 1,900 pounds which in our head in itself. I think we always need to push this home because wherever you are in the world even our budget it varies, in different places it's a bit more expensive and not that achievable but this just shows that in comparison it's a lot less money. Yes, its is 1,900 pounds plus 749 for your cab so that's 2,650 plus another-- how much are on for this? Matt: We've just topped five grand without even trying. Rabea: 5,000 pounds without even leaving this room. There you go, that's just shy of quoting the without busting the bank budget. Matt: We talked about the Big Muff and the Pro Co Rat, we'll get them both and see what they sound like. Rabea: Yes, I think it's worth saying that there are pedals that we use in there without busting the bank that we'll still use in this one because they're actually really important for the Gilmore sound, like the phase 90. Matt: There is a partial version. Rabea: The script version yes. Matt: We could probably extend to that this time. Rabea: Okay. Well, other than that we'll try the Big Muff, original Big Muff, we'll try the Pro Co RAT. I would like to try the Strymon Flint for reverb despite the Morgan having built-in reverb, if we want to go an extra step and get more dreamy. Matt: I'm not sure how that digital Gilmore goes. Rabea: I think he goes pretty digital. Matt: All right, let's give it a go. We're also going to go for the T-rex replica, which is the delay pedal which David Gilmor actually uses. Matt: That's an easy one, an easy win. Rabea: We're going to get the T-rex replica, we're going to get a Strymon Flint, we're going to get a Pro Co RAT, we're going to get an original Big Muff, we're going to get the Phase 90 script version. Matt: I'm going to get the Morgan RCA 35 A-head and cap. 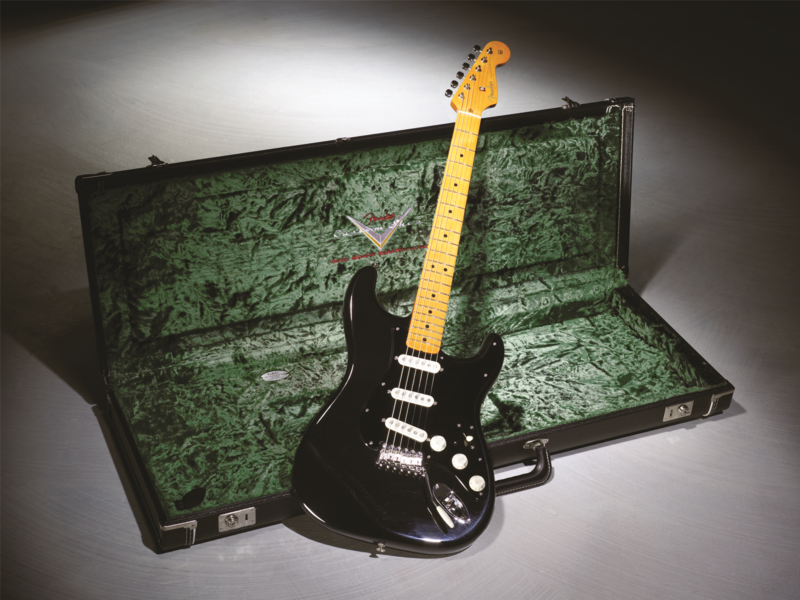 Rabea: And the Fender Custom Shop, inspired By all-black Fender Strat. Matt: Let's go and have a listen. Rabea: We're back in the room Mathew. Matt: We are indeed, this is David Gilmour by busting the bank. Rabea: It's been fun already. Matt: It has. To be honest we spent so much time without busting the bank that we use. It's almost quite a breath of fresh air when we actually have some really super nice gear. Rabea: Yes, because part of it is obviously we spent quite a bit of time getting the tones, making sure that we listen to the records and then go okay we're getting close, but when you get really good gear, like we've got for this video. You kind of just plug it all in. Matt: You just turn it on and even if you're not even close to the record title. Your like, well it sounds beautiful already. Rabea: Yes, it really does. Obviously, we do Dave Gilmour and we took some things away from the last video that we did which was one of the first. Yes, things like we didn't have a Big Muff the first time, we didn't have a Pro Co RAT and now because we have the opportunity to have proper booty gear custom shop guitars and really expensive pedals. It to be fair in my opinion, this is prime Gilmore tone. Matt: It is turned out really well. Rabea: I'm really chuffed with the term that we've got. Matt: To be honest, we've managed to get some gear which he uses himself rather than just kind of like close two's. Matt: This Morgan amp is doing a great job. Rabea: If we go through the single chain, altogether we're using. Rabea: To look at, you might say, this looks just like Dave Gilmour signature strat. Well the idea is that this guitar is inspired by that strat. Same color but it's a bit more aged and it's kind of the journey man version. So it's a little bit tatty around the edges but I really love the vibe that it has. I'll tell you what, it plays amazingly well. Matt: Yes. That isn't a standard production model from vendor. Matt: You can find in the link below, in the description box this particular guitar, they're only very limited. Rabea: Backing in at £2,599. Matt: Yes. It's not cheap but it is beautiful. Rabea: It is and it's probably the kind of guitar when you buy, you probably won't get rid of it. If I owned this guitar, I'd be very proud. Matt: If you went for the signature version. It will take you quite a lot of time to make it look like that. Rabea: Yes, and again the neck on the signature version is much more orange than this is. Matt: I guess that's faded. Rabea: Yes. Either way-- it's beautiful. Rabea: That's running into this. Absolutely stunning Morgan RCA35R, which the 35 watt class A boutique amplifier. Matt: It's really cool and then into a 2X12 of the same brand. Rabea: Yes, just the matching cabinet to go with it.Interestingly enough, when we started out trying to get the turns for this, I had bass middle treble at twelve o'clock and the volume have just pushed over halfway. I found by boosting the mid and the bass and ducking out a tiny bit of treble, it gets closer, particularly using the Dinah comp, it gets closer to the clean lead tons that Gilmour uses. Matt: Yes, it's great, isn't it? Rabea: If I show you, it has a built-in reverb but we went for a stomp box reverb to the strapping Flint because it has more options for the type of reverb we are using. Matt: How does it sound with no pedals. Rabea: With no pedals, it sounds like this. Matt: Let's try and a bit of compression it. Matt: Which incidentally sounds nothing like David Gilmour. Rabea: No, it doesn't but it's great if you want to do that. Matt: I think yes. Let's try a little bit if you get from this end. Matt: Yes, we're getting closer in there. Suddenly, you're getting Gilmour vibes. Rabea: Yes. The delay we're using it just to support the reverb. It's not really the main feature but it's just that and this is the T-Rex replica, which they've got more users. Matt: Should we move on to faith? Rabea: I might just check the echo back down a little bit and then just play the famous best four notes in the world. Matt: Well, there you are. That does it. These two we use both, didn't we? Rabea: We did. We use the big muff four comfortably numb for the guitar solo section. We use the Pro Co RAT for money, the guitar solo section. It tends to use from what I've seen and what we've been told. He's used both for different things but what's really interesting but in this scenario for me and Matt is when you turn on the big muff it totally gives you that comfortably numb turn like so easily. You can hear where he's used both the Pro Co and the big muff in different albums, different solos that kind of thing. Matt: Let's just give you a back to back. I'll switch between them. You can hear the different sounds. Here bit more pokey rise. Rabea: The rust. It's got a sharper edge to it, which you can hear in things like money in the guitar solo for my name's for that. Then as we were saying before by just using the dynacon then you get the clean guitar solo used in the wall. Like the beginning of showing you crazy diamond things like that. Matt: We've mentioned it, I was playing a just a fence track into a Fender-- bass breaker just for a bit of, just to give their solos a bit more context. Rabea: Yes. I think by having Matt playing the chords underneath some of the lead sections it really gives you-- Well, that's it exactly what Matt said it just gives you that authenticity. Matt: It wasn't necessarily the rhythm guitar parts but as long as possible where possible but otherwise just supporting a little bit. Rabea: More or less, let's just call it round up to six grand. If you throw in a pack of strings and cables and patches to do all this with, you're talking about six grand. That is quadruple what we used on our budget for without the busting the bank. Matt: Yes. If you want to see that one we put a link to that in description box, so that you can make your mind up which sounded better or whether is worth spending four times of my money for a similar sound or make your own judgment let us know what you think. Rabea: I'm just going to give you my opinion. I totally think it's worth getting this rig if you can because it's absolutely incredible. Matt: Too fair, you're getting a lot of different bits, I think even getting by six pedals. Rabea: I would totally go the extra mile save up for five years. Get six grand and then blow all of [cross talk] but we hope you've enjoyed it. We certainly enjoyed this one. If you got any questions or anything you want to ask or suggest from another by busting the bank, then please do so in the comments section below. Matt: Yet, links to all get with specific pricing and availability is all in the description box below. Rabea: This has been sounds like on Andertons TV. Rabea: That’s why I look to you. Matt: Yes I thought you were saying no. Matt: You didn't do this. You raise your eyebrows like no. Rabea: Let’s do it again. Matt: You raise your eyebrows and I thought you mean yes.